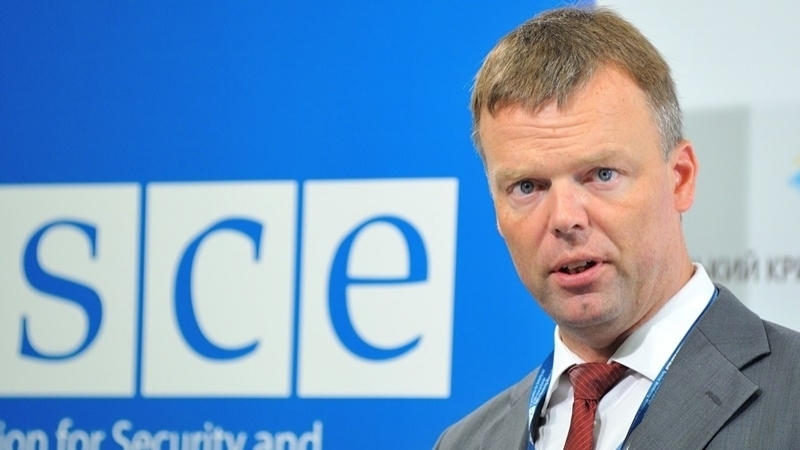 Since early 2017, the OSCE Special Monitoring Mission has recorded 313,300 violations of the ceasefire in the Donbas, Principal Deputy Chief Monitor of the OSCE Special Monitoring Mission to Ukraine Alexander Hug reported at the briefing of the OSCE SMM. “It seems that there are two Donbases. There is Donbas, where a ceasefire regime is agreed. Not only agreed, but it is adhered to. Listen to the representatives of the parties, and they will argue that their side strictly observes the ceasefire regime," Hug said. At the same time, according to the observer, there is "another Donbas where real people live". It was there that the OSCE SMM recorded 313,322 violations of the ceasefire, of which 26,000 involved heavy weapons that should be withdrawn from the line of demarcation. The total number of civilian casualties is 398, one of them died last week. "This is a man who tried to repair power lines damaged during the shelling," Hug specified. Earlier, a road accident occurred involving the car of the OSCE Special Monitoring Mission on Thursday on the highway in the Donetsk region. Reportedly, no one was injured.